Introduction: In a Huffington Post piece last month I asked: Is It Time for a New Look at Integrative Medicine and Health Professionals in the Triple Aim Era? When integrative medicine leaders were surveyed, they viewed their work as deeply-aligned with the 3 goals: enhancing patient experience, lowering cost, and bettering population health. But how are integrative clinic leaders doing in practice in these values-based outpatient centers? Should more such clinics plan to adopt this model? Washington State's HealthPoint (Tom Trompeter, CEO). The Huffington Post piece pulls key comments from these clinic leaders. The others directly noted below were published during a period of significant activity on this project this past month. 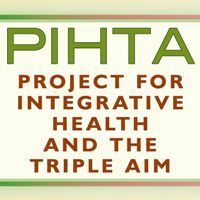 Much of this work grew out of Integrator partnerships with ACCAHC's Project for Integrative Health and the Triple Aim, the North American Board of Naturopathic Examiners, and the Casey Health Institute. The goal of the work is to stimulate understanding of integrative patient centered medical homes (PCMH). The news could surprise many: in the state of Vermont - as in Oregon - naturopathic physicians can, and do, operate accredited primary care medical homes (PCMHs). In Vermont, naturopathic physicians do so following a steady stream of up-regulation over the past 20 years. Licensing. Recognition as part of the state's primary care matrix. Insurance coverage. Medicaid inclusion. Most recently, in 2011, inclusion as accepted owners and operators of PCMHs under the state's single-payer style Vermont Blue Print for Health - and 2013, the first PCMH designation. That designee was the Mountain View Natural Medicine center in Burlington. The pioneering force behind this opportunity in Vermont is naturopathic physician Lorilee Schoenbeck, ND. Her center is presently a Level 2 PCMH under a system of scoring carried out by analysts from the most significant accreditor of PCMHs nationwide, NCQA. This is the first of two parts. The second, below, focuses on prevention and clinical improvement initiatives. Martin Milner, ND, founded the 6,500 square foot Center for Naturopathic Medicine as a beacon of light in a dark age for his profession over 30 years ago. Three years ago he chose to move the 12-practitioner center to become what it is now: a Level 3 certified patient-centered primary care medical home under Care Oregon, the state's ambitious reform plan. In this article, Melissa Porter, the center's chief operations person and quarterback of the transition shares the story of the changes made, and early outcomes. In this second of a two part interview with pioneering naturopathic patient-centered medical home (PCMH) operator Lorilee Schoenbeck, ND, the focus turns to the prevention and quality improvement initiatives in place at her multi-practitioner center, Mountain View Natural Medicine. Here is a look at the initiatives in immunizations, obesity, colonoscopy, dyslipedemia and more in this NCQA-scored, Level 2 PCMH. The executive vice president and COO of the Maryland-based integrative PCMH, Casey Health Institute (CHI), Tracey Gersh, PhD came to the ground-breaking, Maryland-based integrative health center from roles as administrator and program developer at a nearby federally qualified health center (FQHC). In this article, Gersh describes the movement of CHI into becoming a patient centered medical home recognized by Care First, Maryland's Blue Cross/Blue Shield firm. She then shares CHI's move to become part of a new accountable care organization (ACO), Aledade, with a set of 5 other primary care clinics. She speaks to the differences between CHI and the Federally Qualified Health Center where she previously worked. One of the leaders of the successful effort to set standards for the health coaching movement in the United States, Karen Lawson, MD, sent a note early in December: "Late last week the U.S. House of Representatives introduced the Health and Wellness Coach Resolution, a bill number was assigned just yesterday. The ceremonial resolution ‘expresses support of health and wellness coaches and National Health and Wellness Coach Recognition Week.' This is the culmination of work done for the past year to raise the profile of all Health and Wellness Coaches in Congress. Thank you, [National Consortium for Credentialing Health and Wellness Coaches] for supporting this effort." The proposed resolution has some fine, endorsement of the rising field: "Whereas, health coaches are a new type of health care worker who serve as wellness guides and supportive mentors that motivate individuals to cultivate positive health choices and move them toward those specific goals ..." The co-signers are Payne, Mullin, Buchanan, Napolitano, and Ryan of Ohio. Lawson directs a health coaching program at the University of Minnesota. Comment: This visibility strategy - including the dedication of a recognition week - is one that has been used successfully by the American Association of Naturopathic Physicians. (In fact, given the lifestyle focus of many naturopathic practice, some of the language is quite similar in whereas elements of each resolution.) It was the mention of health coaching in a 2010 federal act - the Affordable Care Act - that prompted the self-regulatory efforts for the field, beginning with a September 2010 summit just 5 months after the ACA was passed. Notably, for this Round-up, the elevation of health coaching is smack in the middle of "Quadruple Aim" thinking and patient-centered medical homes. Good move. The Dynamic Chiropractic article on a follow-up report from the Inspector General of the USA is Targeting the Bad Apples in the Bunch. The subhead: "Latest OIG report outlines plan to determine questionable DC billing claims, recoup payments." The Office of the Inspector General's report speaks volumes in its title alone: "CMS Should Use Targeted Tactics to Curb Questionable and Inappropriate Payments for Chiropractic Services." The measures and categories of complaint are laid out in the useful article, written by Ronald Short, DC, MCS-P. Short challenges OIG perspectives on some counts, lessso on others. The article notes that "of the $502 million that Medicare paid in 2013 for chiropractic services, $76.1 million was for claims that were questionable based on our four measures of questionable payment." Comment: This is useful reading for any practitioner in the insurance game. In a panel presentation on research that influences policy at the October 2015 Academy of Integrative Health and Medicine conference, chiropractic research leader Christine Goertz, DC, PhD made a comment that speaks to the concerns in the report. Goertz noted that presently a type of research related to the chiropractic field of particular interest has less to do with effectiveness than in helping delivery organizations determine the best chiropractors with whom to work. The OIG report underscores why this is important. Meantime, other licensed integrative health professions that are not in Medicare - LAcs, NDs, massage therapists- can drool at the half-billion dollars of Medicare payouts. That's a transfer of wealth from government to the chiropractic profession that, while just 1% of CMS' $597-billion annual payout, bluntly signals what these professions are missing through their lack of recognition by CMS. 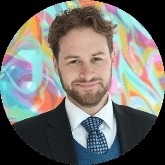 In late November, Taylor Walsh, project director for the CoverMyCare campaign of the Integrative Health Policy Consortium sent news that the most recent "CMC Update" has been posted. Walsh also previews anticipated developments: "2016 will be an important year in the fortunes of state-based initiatives that are geared to bring compliance with their own non-discrimination legislation, if not with Section 2706 (of the Affordable Care Act, Non-Discrimination in Health Care) itself." Walsh wonders if other states will "copy Oregon and Rhode Island and promote in their next legislative sessions?" Well others "include, and pass, enforcement provisions that the federal law did not include?" CMC willreport on recent efforts to encourage the US Department of Health and Human Services to clarify what, to them, constitutes discrimination. Walsh urges practitioners to link to the CMC Stories Album and share any discrimination-related stories. Comment: IHPC, CMC and the movement for integrative care itself are lucky to have a person as dedicated and with as many skills sets as Walsh, a sometimes Integrator contributor, in the driver's seat. A leader of the Hawaii Medical Services Association (HMSA) has announced that naturopathic physicians in the state will begin to be recognized as primary care providers by HMSA. HMSA, that state's a BlueCross BlueShield plan, is the dominant player in that market. This was the headline in a report shared with the Integrator by Michael Traub, ND, from an October 29, 2015 meeting involving multipl,e HMSA officials and naturopathic leaders. Traub has be the point person representing the naturopathic profession in the insurance and political realm for 3 decades. Traub notes that the HMSA representative shared that "HMSA is also moving towards a community health model that focuses on health and well-being, paying health care providers for the time it takes to facilitate this. NDs are well-trained providers for this model." The transition to value-based care is expected to take 14 months. Related information is here and here. The transition to the new model with eventually come through some form of an independent physician association "to to facilitate referrals among providers." The HMSA representative said that educators and case navigators may also play a role. HMSA is expected to provide resources and business analytics. This was the fifth meeting for this purpose over the past 6 years since the ACA was enacted, and the fourth meeting over the past two years since Section 2706 went into effect. Comment: "Perseverance furthers" is the way this stick-to-it effort is put in the I Ching. Much education all around will be needed. The Integrator Special Report on naturopathic physicians guiding patient centered medical homes may be particularly useful to both the Hawai'i NDs and HMSA's administrators. Boston Medical Center's Katherine Gergen-Barnett, MD (see People this Round-up) on integrative medicine group visits. RAND's Patricia Herman, ND, PhD and Claudia Witt, MD on "policy and the economics of integrative medicine." An IHPC and ACCAHC-led multidisciplinary group on practitioner discrimination in integrative health and medicine. Leading edge strategies for merging qualitative and quantitative research models. All these and 8 more are part of the extraordinary set of pre-conference workshops planned for May 17 prior to the formal opening of the 2016 International Congress on Integrative Medicine and Health (ICIMH). Most of the ICIMH plenary speakers have also been named, including: Richard Davidson, PhD on the neurophysiology of meditation, Ted Kaptchuk, OMD on placebo, David Relman, MD on the microbiome and Barbara Brandt, PhD on the movement for team care. An overflow of terrific session ideas is being evaluated by review teams. The conference will be held in Las Vegas at the Green Valley Ranch Resort, May 17-20. Comment: Serious alignment of interest note here: a serve on the ICIMH Organizing Committee and as chair of the Communications Committee. The goal was to create a true whole system experience: branching from research only into education, clinical and policy through partnerships with ACCAHC, AIHM and IHPC. FaceBookers: follow action here. This is a first: an integrative fellowship with a diverse mix of participants: advanced practice nurses, licensed acupuncturists, medical doctors, chiropractors, pharmacists, physicians' assistants, psychologists, osteopathic doctors, and dentists. Some slots are still open for the first class of the interprofessional fellowship in integrative medicine of the Academy of Integrative Health and Medicine. Kristen Gates, AIHM's program coordinator for the Fellowship, shared with the Integrator that as of December 10, 2015, AIHM has "accepted 46 and will take up to 50 for the first class" which will begin February 1, 2016. AIHM also plans a fall 2016 class. The AIHM fellowship director is Tieraona Low Dog, MD who works closely with associate director Seroya Crouch, ND. The AIHM's Fellowship website captures the team care focus with this African Proverb: "If you want to go fast, go alone. If you want to go far, go together." Comment: Wonderful start for the new program. While medical doctors, as anticipated, account for over 50% of enrollees, there is terrific interprofessional diversity that will guarantee a unique experience. This start-up of what will be the second significant fellowship in integrative medicine, following the Fellowship in Integrative Medicine at the University of Arizona, brings to mind some ancient history - in integrative terms. In 1978, the Mothership of naturopathic medicine, now National College of Natural Medicine, calved its first U.S. offspring, now Bastyr University, via a group of NCNM graduates. These were led by Joe Pizzorno, ND. There was some competition felt from NCNM, and rumbling about whether the profession needed another. There are now 8 recognized ND programs. The multi-disciplinary Southern California University of Health Sciences (SCU) has announced a partnership with both the University of Southern California Club Men's and Women's Rugby Teams. In an article posted in the SCU Campus Connection, the agreement is described as "a great opportunity for our SCU residents and interns to gain valuable chiropractic sports medicine experience." Leading the team will be Coreen Levy, DC, an SCU sports chiropractic specialist "who is the official Doctor for the USC Men's and Women's Rugby team." Levy will be supervising SCU residents and interns who will "provide sideline medical care including: assessment, diagnosis, and treatment, to the athletes on USC's Rugby teams." Comment: This story of a female integrative practitioner taking a lead in sports medicine is a good companion to this short blurb, "Cleveland Indians' Jamie Starkey, LAc: First Acupuncturists Employed by Major League Baseball Team" in the October Integrator Round-up. On December 1, 2015 the United Natural Products Alliance (UNPA) announced a new partnership with the Southwest College of Naturopathic Medicine & Health Sciences (SCNM). According to the media release, SCNM's collaboration with UNPA is "intended to aid in the advancement of naturopathic medicine and natural health products research, safety and quality, both nationally and internationally." SCNM president Paul Mittman, ND, EdD, comments: "The relationship between SCNM and UNPA will foster new opportunities for research to evaluate existing and explore new approaches to improving the public's health and wellbeing." With the signing, SCNM joins a roster of 13 other UNPA MOU and commercial partners. Bastyr University is now offering a "low residency" 4 quarter Masters of Arts in Maternal Child Health Systems Degree. The program is "designed for midwives and other maternity care practitioners who want to shift their careers toward teaching, advocacy, research and other ways of leading systemic change." The University already has a Department of Midwifery led by Suzy Myers, LM, CNM, MPH, for those seeking to become Certified Professional Midwives. Karen E. Hays, DNP, CNM, ARNP, an adjunct midwifery faculty member who helped develop the new program explains: "As midwives learn about structural barriers to providing effective birth care, many find themselves looking for ways to lead change in health systems." Comment: Good move from the feisty midwives. As members of the integrative health and medicine community step into increasing responsibilities as systems change agents, we'll need more of this, and not just for midwives. The Duke Program on Leadership in Integrative Medicine is the present outstanding example. I recall hearing of this idea a while back, but did not look into it and am glad I finally have. Perhaps some of you will have missed it to. Basically it is this: the move toward "value-based medicine" that leads to such delivery structures as the patient centered medical homes featured in this Integrator Round-up, is often synopsized as the triple aim. These are: enhance patient experience, better population health, and lower per capita costs. Last year, a suggestion was made by UCSF family medicine professor Thomas Bodenheimer, MD and his co-author that a fourth be added. To the authors, without this fourth aim, success with the others may not be possible. The gist: delivery organizations must focus on bettering the practitioner experience. Bodenheimer and his co-author, Christine Sinsky, MD, explain: "In visiting primary care practices around the country [we] repeatedly heard statements such as, ‘We have adopted the Triple Aim as our framework, but the stressful work life of our clinicians and staff impacts our ability to achieve the 3 aims.' These sentiments made us wonder, might there be a fourth aim-improving the work life of health care clinicians and staff-that, like the patient experience and cost reduction aims, must be achieved in order to succeed in improving population health? Should the Triple Aim become the Quadruple Aim?" The authors detail data on how other aspects of the Triple Aim are damaged when the workforce is running on burnout. Comment: In work with which I have the pleasure of being involved at the Institute of Medicine Global Forum on Health Professional Education, the board of the organization I help represent, the Academic Consortium for Complementary and Alternative Health Care, gave us a specific charge. We were told to focus on the "innovation" of educating health professionals who will focus on health, and well-being rather than reactivity. We've made some headway, especially as captured in this May 2013 workshop report. This 4th of the Quadruple Aim goals needs to be embedded educational processes. Some of the work in integrative medicine centers on mind-body programs are exemplars. See The Future of MD Education: Empathy, Roses and Respect Via Georgetown and U Minnesota Pilots. The 4th aim is core integrative health value. This Integrator feature is a quick capture of highlights from web stories relative to integrative medicine and health in the prior month. Here are 26 involving medical delivery systems and 14 more in communities. Included are the remarkable developments in the "biofield" led by Shamini Jain, MD, Deepak Chopra and others; David Katz, MD's decision to take on the "polarization-based medicine" anti-CAM/IM tribe; expansion of the mindfulness program for educators and clinicians at Georgetown University; very favorable coverage on acupuncture's coming of age in Time and US News & World Reports; and Ronald Hoffman, MD challenging recent negative reports on dietary supplements. Enjoy the skim of activities! The publisher of Dynamic Chiropractic, Donald Peterson, wrote up the results of a recent internet survey that the publication carried out on the state of the chiropractic profession. While not definitive, the results are of interest. Sample findings: 54% are in solo practices in which 80% or more of revenue is from adjustment/manipulation/PT/rehab/massage; roughly 1 in 20 (5.4%) are in "Integrated Interdisciplinary Practice" defined as practice with "at least two other non-chiropractic professionals (not including massage therapists" using a team approach; and 34% said that roughly half of their revenues came from 3rd party payers while a full 25% said that less than 10% does. Among the trends Peterson notes: "While many new DCs are beginning as cash practitioners, a larger number are almost entirely dependent on third-party payers." In spring of 2014, colleague Ruth Westreich set up a meeting for me with Shamini Jain, PhD. Jain was beginning some work through the Samueli Institute, where Jain is a senior scientist. Jain was then being supported by a Westreich Foundation grant to herd the ultimate set of cats: the powerful leaders - and their organizations - at the forefront of promoting research on the "biofield." Among these: Deepak Chopra/Chopra Foundation, Mimi Guarneri/Miraglo Foundation, Wayne Jonas/Samueli Institute, and Marilyn Schlitz (and others)/IONS. In late November, their collaboration came to double fruition. As documented in this November 23, 2015 piece by Chopra and Jain at the Huffington Post, the contracted papers from a January 2014 gathering of 45 biofield scientists were published as a Special Issue of Global Advances in Health and Medicine Journal: Biofield Science and Healing: Toward a Transdisciplinary Approach. The special issue includes 12 articles and an opening column from GAHMJ co-editors Mary Jo Kreitzer, RN, PhD, FAAN and Rob Saper, MD. In the same week, Jain announced that the website of the Consciousness and Healing Initiative (CHI) was opened. Comment: For Jain, CHI, and the biofield exploring team, this marks the end of the beginning of that organizing work. I was struck on picking up my November 30, 2015 issue of the New Yorker to marvel at a bit of coincidental woo to go with this promotion of more research and awareness of same. The publication included a review by Adam Gopnik of Scientific American contributor George Musser's new book, Spooky Action at a Distance. Gopnik focused on the how the theory of distant entanglement has fallen in and out of favor. The shifting perspective has had less to do, in Gopnik's view, with science than apparently to changes in the culture - such as this group is fomenting with the GAHMJ biofield special issue and the CHI site. My review of the review, in the context of this activity led by Jain, is here: Herding Atoms: Book, Journal, and Organizing Our Entanglement. What does a cynic about life's mysteries do with the dancing of these particles, infinitesimal, and larger? Anyone who like me is not a scientist but wants a good read on places reason treads with trouble, check out Larry Dossey, MD's wonderful One Mind. Global leaders in the wellness and spa fields met in mid-November in Mexico City as the Global Wellness Summit 2015. A key take-away was a set of a Top 10 Future Shifts in Wellness. The subhead of the organization's media release on the list is: "Experts at Mexico City conference forecast that wellness will become more mandatory in more nations soon - that breakthroughs in epigenetics, stem cells and integrative medicine are near - and that ‘programmatic' workplace wellness will disappear." Among the trends are "From Medicine vs. Wellness to Truly Integrative Healthcare." Adam Perlman, MD, MPH, the director of the integrative medicine program at Duke University, reportedly "spoke to the coming together of wellness and the complementary/integrative medicine movements." He commented: "We're at an inflection point. If we saw a first wave of integrative medicine in the mid/late 90s, this time it feels different." On the high-tech end, Deepak Chopra is cited in a trend on "From Cracking the Genome to Cracking the Epigenome." The National Certification Commission for Acupuncture and Oriental Medicine (NCCAOM) has published, in its most recent annual report, the organization's three strategic goals. These are: 1) Integrating NCCAOM Credentialed Providers in to Healthcare in the United States; 2) Distinguish NCCAOM as the Expert Source for AOM Credentialing and Competency Standards; and 3) Expand the Value of NCCAOM Credentials to Assure and Advance Professional Opportunities for NCCAOM Diplomates. Under #1, the report notes initiatives that include placing board memberships in the Integrative Health Policy Consortium and the Academic Consortium for Complementary and Alternative Health Care. Under #3, NCCAOM's promotion of an annual AOM Day and sites for YouTube videos and a patient testimonials site are noted. Comment: NCCAOM has shape-shifted to fill needs left by the void created by the challenges for the AOM profession in building and supporting a national organization. I am aware via other professional work that under #1 the organization has also convened many of the most experienced licensed acupuncturists in the country to a task force that is seeking to assist individuals and organizations on credentialing and privileging issues. These are each useful initiatives. The subject of botanical quality and the "integrity" of the plant sourcing of natural products has spawned ever more exotic questions with each advance of technology. The American Botanical Council has published a two-part feature on the topic of botanical integrity. The work was engaged by a team at the University of Illinois at Chicago-NIH Center for Botanical Dietary Supplements Research. The first, published in the April 2015 HerbalGram, was: The Importance of the Integration of Chemical, Biological, and Botanical Analyses, and the Role of DNA Barcoding. The second, in the most recent issue, is Botanical Integrity: Part 2 - Traditional and Modern Analytical Approaches. The author group on each is guided by Guido F. Pauli, PhD with Charlotte Simmler, PhD as lead author. The second article, to give a flavor, looks at "current analytical techniques, new approaches focusing on the fields of botany and chemistry have become available to characterize plant-derived materials in supplements." Comment: With these, the American Botanical Council continues its role as a key dissemination source for work-product on botanicals developed through the NIH or with NIH funds. 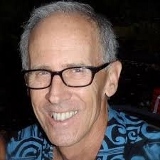 These follow the history and strategy document from the NIH's botanicals lead, Craig Hopp, PhD, that led to the Integrator Forum: What Are Your Views on NCCIH's Past and Future for Botanical Research?. Taking this route to publication speaks to the good sense of this NIH-funded team in reach a target audience, and also to the quality ABC executive director Mark Blumenthal has continuously striven to bring to the publication, with and through his extraordinary scientific advisors. "Nice" work, Mark! Side-note: I am reminded of my first real lesson on botanical quality. In 1986, I had a new colleague (who will remain nameless) who worked with a major international company that sold both to the more mature European medicinal herb industry, and also to the big USA companies through health food stores. He was getting to know the earnest, then youngish, chap (me) who was at the time introducing the "scientific natural medicine" of what is now Bastyr University to the herb industry. He took me into the ugly inner sanctum: "What we sell in the USA is the sweepings of the European industry;" that is, parts of the plant not used in the medicinal trade, sometimes more than metaphorically from the floor of that industry. Product integrity lesson #1: "sweepings" are not where you want in your herbal remedies. On December 9, 2015, the American Herbal Products Association sent out a media release noting that goldenseal and Aloe vera "non-decolorized whole leaf extract" were added to California's Proposition #65 list of "chemicals known to the State of California to cause cancer." They were added by the state's Office of Environmental Health Hazard Assessment (OEHHA). Within a day, the International Aloe Science Council (IASC) followed with its own release to let "all consumers know that ‘Aloe vera, non-decolorized whole leaf extract' is not an ingredient sold by IASC members, nor is it used in finished consumer products that have earned the IASC certification seal." The California decision was based on a classification by the France-based International Agency for Research on Cancer (IARC) that this material is an agent that is "possibly carcinogenic to humans." AHPA points out that IARC has similarly characterized red meat and especially processed red meat. Yet "OEHHA has yet to issue a notice of intent to list either red meat or processed meat as ‘a chemical known to the State of California to cause cancer.'" To treat the items differently, AHPA argues, "could be considered to be arbitrary and capricious from a legal standpoint." Comment: Is one over-sensitive to bias in wondering about possible double standards of waving such red flags about an aloe product and goldenseal and not about red meat. Put together in one story and one might wonders at the objectivity of the associated bureaucracy, and those directing the decision-makers. The Modern Healthcare Professional integrative medicine internet news source has published segments of a recent survey funded through the Council for Responsible Nutrition. The take home: 68% of adults are using at least one and 84% expressed confidence in the "overall safety, quality and effectiveness." While highest use is in vitamin-mineral category, a significant jump was registered with herbals, and another in sports nutrition. Multivitamins are the overwhelmingly most used supplement of any kind. The USA-based global service-learning group Acupuncturists Without Borders (AWB) is celebrating its 10th anniversary. The accomplishments for this NGO with a total, presently, of 2.5 FTEs are significant. The organization has sent teams as far away as Nepal. Here in US, they have worked in New Orleans after Katrina and supported disaster relief efforts in Texas and California. AWB has trained 400 U.S. acupuncturists "to respond to natural and human-created disasters." The organization has also had a role in "mentoring over 30 community service clinics in the U.S. that offer stress and trauma reduction treatments to veterans, active military, survivors of sexual violence." Also internationally, AWB has "trained 35 Jewish and Arab Israeli practitioners to offer trauma healing acupuncture in their communities" and is presently working on "laying the foundation in Mexico for a training program for health care workers" for the coming year. In a newsletter sent on Pearl Harbor Day 2015 to the list, the organization, noted a new video they have posted for their Nepal work. The work is led by executive director Diana Fried, the founder and current board president. The review of accomplishments included a request for contributions. Comment: I get an inside picture on the value of these global service and community practice through my close friend and colleague William Wulsin, ND, LAc, MPH who has worked with, or alongside of, AWB in multiple places, including Nepal - and whose work my family and I have supported. A brief piece on his work is here at the Global Integrator Blog: Acupuncturists without Borders Responds to Nepal Earthquake. Impactful work, for both those served, and those engaging the service. Here is the Global Integrator Blog Round-up for December 2015 at Global Advances in Health and Medicine. The summary from this writer on the half-dozen articles follows: "The WHO's campaign to limit antibiotic overuse brought to mind the good work of the European integrative medicine community on the topic last year. Check the link. Interesting to see the role of homeopathy in Colombia - a practice featured in works of that nation's Nobel winner Gabriel Garcia-Marquez. I happily report the belated and important inclusion of traditional healers in the Ebola strategy in Sierra Leone. Infectious diseases are having the positive consequences of bringing diverse practitioners together for a common enemy. More on that soon. Finally, can work on the ‘biofield' be anything less than ‘global'? Adam Gopnik's New Yorker review is a nice opening to an intensive collaboration underway to organize research and consciousness raising about, well, consciousness in healing. Enjoy, and do share your news and story ideas -John Weeks." Comment: I was particularly intrigued, in writing about the strange behavior of distant particles, to discover the temporal coincidences of the activities, noted above, and reported as Herding Atoms: Book, Journal, and Organizing Our Entanglement. 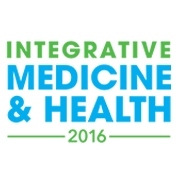 I was pleased to be asked by the Academy of Integrative Health and Medicine to present a 45-minute plenary on the history of the movement now called integrative health and medicine at the organization's October 2015 Conference. I called it: "Connective Tissue: A Winner's History for Integrative Health and Medicine." A rare standing ovation, for my presentations. James Maskell, co-founder of the robust, global, Functional Forum/Evolution of Medicine, was present. He invited me to do a podcast on the topic. We did it and he posted it to his list of over 30,000 with some remarks. The podcast is presently the most listened to of any other on the site. Maskell wrote: "One of our favorite talks at the AIHM conference had a rallying cry [that is a message of our own] ‘we need to start acting like we are winning, and stop acting like we are losing.' John Weeks, with a career spanning over [three] decades supporting this emerging field, gave an incredible talk ... giving a 50-year history of the integrative medicine movement and sharing the people, strategies and timelines that moved integrative medicine to mainstream acceptance. This is must listen material for every integrative medicine professional, not only cataloging the past but also energizing the future of the movement, in a way that is 100% congruent with the mission and goals of the Evolution of Medicine." Comment: My father would be blushing at the kind of self-promotion in re-posting this. His son, apparently, is not. I like history. It was my focus in university. It's my work as a chronicler. And the cool thing in chronicling is that from time to time one discovers fascinating patterns, trends, and distinct eras. Yes, there are actually "eras" to this movement. What I was seeking to do in the talk and podcast is tell the story of the multiple integrative fields with shared values, how they/we worked first in silos, then in consortia - and now perhaps under larger tent(s) toward growing impact. Our influence has been felt in many ways. I hope any of you who visit will enjoy. I shared my AIHM slides with Maskell, who put them on his site. Happy to give a similar talk elsewhere! Let me know. A powerful trio of people in integrative health and medicine were recently aggregated by the producers of National Public Radio's "On Being," with host Krista Trippet, to discuss "Transforming Medicine." Included were former White Houser Commission chair James Gordon, MD, functional medicine leader Mark Hyman, MD and the first chair of the Bravewell Collaborative, psychologist and philanthropist Penny George. The segment, which originally aired on Minnesota Public radio, can be downloaded and streamed from the On Being website. According to a note from Gordon, the wide-ranging discussion touched on "food as medicine, altruism, the importance of compassionate health care, spirituality and healing, and more." Comment: Also on the integrative care/NPR theme, Marin-based Marty Rossman, MD shared that an interview of him by KQED's Greg Sherwood on "will be featured as part of their holiday pledge drive through December." Rossman's book, c, and related CD set are among the benefits of got those donating. Rossman sent this link to KQED schedule. Word reached the Integrator that Katherine Gergen Barnett, MD, whose blog on integrative medicine group visits was published through Health Affairs has taken a new position. She has become as vice chair for primary care innovation and transformation with the department of family medicine at Boston Medical Center. According to the announcement, in her role Gergen-Barnett will "oversee Family Medicine practice transformation initiatives ... lead the department's quality improvement efforts, bring vigor and innovation skills to the Patient-Centered Medical Home movement, spearhead patient experience initiatives, and provide support and guidance to our ACC practice." The notice additionally shares that since Gergen-Barnett's "appointment in 2009, as director of (BMC's) Integrative Medicine Clinical Services, Katherine pioneered a model for delivering integrative medicine in the safety net setting, creating a program that provides BMC and CHC patients with an array of integrative medicine services." Comment: I don't normally include position changes such as this in this section of the Integrator. I do so with reference to the "innovation" in Gergen-Barnett's title and the known innovation in her integrative health and medicine work. This will be fun to watch, especially in BMC's safety-net setting. An interview with Gergen-Barnett prior to a recent presentation in Australia is here.